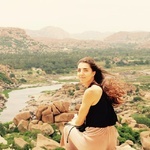 I am Alessandra, an Italian professional translator specialised in English, Chinese and Spanish. 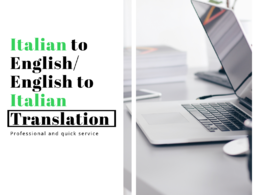 I hold a BA in Languages and Cultural mediation with specialisation in Chinese...Read moreI am Alessandra, an Italian professional translator specialised in English, Chinese and Spanish. I hold a BA in Languages and Cultural mediation with specialisation in Chinese and English, and a MA's degree in Asian studies, with focus on China. Additionally, I have awarded Spanish language certificates, subsequently to six months experience in Spain where I was studying at the Universitat de Valencia and collaborating for linguistic projects at the department of Languages. I am currently working as a freelance for several companies, thus I am plenty of experience to guarantee an efficent, quick and to high standard work. Amazing, accurate, on time. Alessandra is a great professional. Highly recommended! Very speedy job and great communication! Alessandra has done a brilliant job and respected the deadline provided. She has been very professional and quick in her service. I would definitely recommend her! Good quality translations and prompt replies. Thanks Alessandra! Very prompt response and good quality translation. Thanks Alessandra!